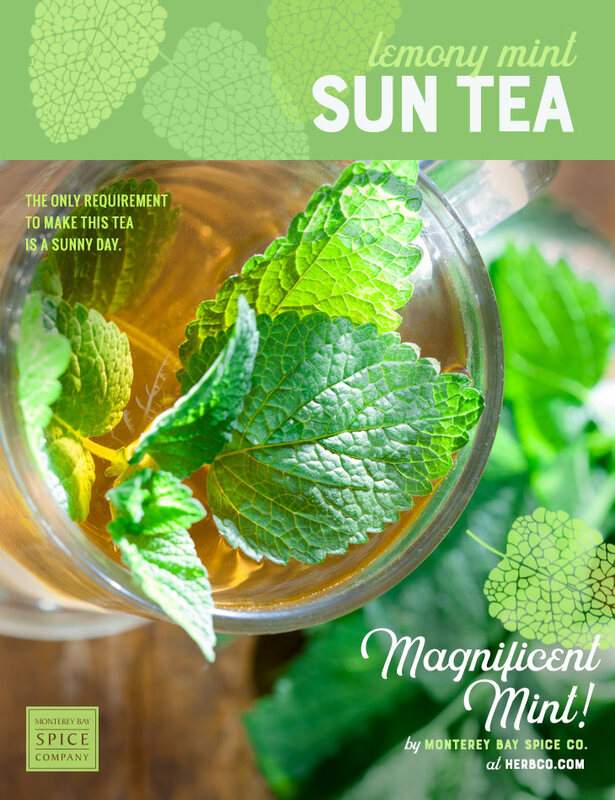 The only requirement to make this tea is a sunny day. Fill a ½ gallon glass jar (with lid) with the water. Place the herbs in a muslin bag and add to the jar; replace the lid on the jar. Place in a sunny location for 6-8 hours. Remove the bag of herbs (compost!) from the infusion. Serve over ice with lemon slices, if desired.